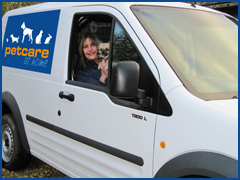 When your pet needs the vets we will transport them in one of our pet ambulances. We are fully insured and our ambulances are fully equipped to transport your pets safely. Our staff who will be transporting your pets are experienced animal handlers which means that your pets will receive the best possible care whilst in transit.